So you have brainstormed some ideas, chose your favorite topic to write on and composed a full length article on that. What’s next? 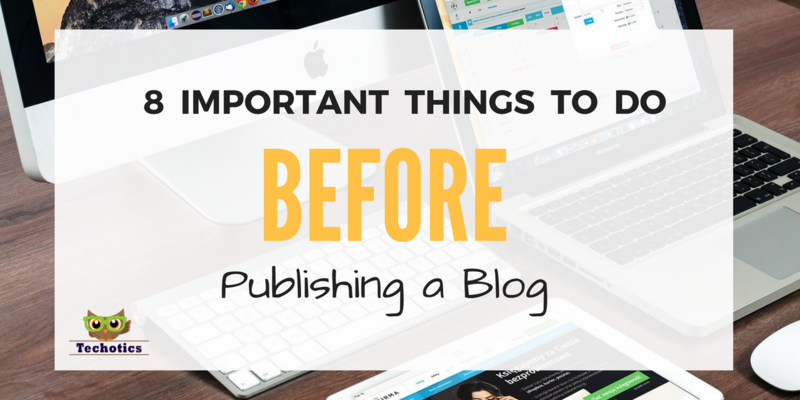 Hit the ‘publish’ button? No not at all! Because we all know, writing a killer blog post is no easy job. You wanna make a lasting impact with it, right? If you have spent hours on researching and writing a great post why not put in few extra minutes of effort into it and make it a better one. What is the first thing someone will read on your blog? Heading, right? If the heading is not catchy enough, chances are your blog post will remain unread. Ouch!! I can hear you gasp. But that’s true! Of 100s of people who read your title only a fraction will bother to read the post. So, why not make the title so attractive that its impossible to resist the urge to read the whole post and boost up that small fraction. Before hitting the ‘Publish’ button, give a thought to your headline. Is it actionable? Will it make you read the post if it was on some one else’s website? Will it add value? If you answer ‘No’ for any of these questions, you need to be re-wording your title. Because a weak title will make your great content fade! It must convey the theme of blog correctly along with a pinch of mystery. Create curiosity in readers to make them eager about your blog. Therefore, dedicate fair share of time to come up with a brilliant headline. When people are reading your blog they are actually expecting to read something valuable presented in attractive way. If they wanted to read lots of small font texts with no pictures, they would have chosen an old library and read some thick (boring) books, right? Nowadays, gifs and infographics are taking over the blogging world, because as we all know “A picture is worth a thousand words.” It just makes your content easier to understand and easier to read. So, add relevant images. Don’t strain your reader eyes by writing just texts and texts. Organize your text in points with small descriptions and add interesting and eye-catching images in between to support what you just said. This will definitely make your readers fall in love with your blogs. If you don’t wanna spend hundreds of bucks just on pretty images, then here’s a list of 66+ Website to find free images that you can use it for your post. Why is ‘Alt’ tag so important? Google, in their article about images, has a heading “Create great alt text” which is very important for SEO reasons. Google uses the image’s ‘alt’ tag to determine the subject matter of the image and its surrounding content. This helps them deliver better results for user’s search query. Which means, the better optimized it is, the higher your chances for getting ranked in search engines are. The non-SEO reason to optimize your ‘alt’ tag is, it is used to provide important information about the image to users who are using screen readers, browsers for visually impaired or users who have low-bandwidth connections. Why is ‘Title’ tag so important? This is the title of your image. It will be displayed when ever your readers’ mouse hovers over the image. It doesnt impact your rankings but it goes towards better user experience. You don’t need to spend hours thinking titles for your images, just make is simple, descriptive and informative. In short, ‘Alt” tag shows whats on your image, which is important for crawlers while the ‘Title’ tag is displayed as the tooltip of your image which is important for your visitors. Did you know that humans have a lower attention span than goldfish? When you write detailed posts (which you should be) with ton-load of text blocks, not all visitors read it word-by-word. Most of the readers will give it a quick scan, browsing through those paragraphs. And only if they find it interesting and useful they will decide to read the whole thing. Now if you have spent hours putting all the research together, you would definitely want your readers to read the whole thing. Split your posts in points giving it sub-titles in H2/H3 tag. Make each paragraph no longer than 5-7 lines. Use bold, italics and highlighter wherever necessary. Organize your content well, without headings and paragraphs you make it difficult for your users to read it easily. Interlinking simply stands for linking your one post to another. Why is it so important? It increases SEO friendliness of your blog as interlinking means all of your posts are related to each other. By interlinking you are making navigation of your readers easy. Everything a reader needs is just a click away. Google bots find your site easier to crawl and therefore it increases your site’s authority. You users will be able to read your new post, while at the same time they might also be able to find related information from the links that you have provided. That way your user will remain well-informed and you will get more pageviews for your site. Its a win-win situation! So, make sure if you are writing any article, it is linked with some of your previous (related and relevant) articles as well. Nothing is more embarrassing than making a silly mistake and making it go live so that people could read it and point it. OMG! That’s the horror for any blogger. You should proof read to avoid, obviously the above scenario and also if people keep on noticing little mistakes you make then they will think of you as a blogger who is not sincere and your content will be rated mediocre. That is the worst thing that could happen as this will make you look untrustworthy. Moreover, grammar and spelling mistake make your article look unattractive. So before the post goes live, make sure the article is free of any mistakes. You don’t want emails from your readers pointing you out at your grammatical errors! No one likes an abrupt ending to anything. That doens’t mean that you will need to write ‘The End’ at the end of the post, it would be really evident to the readers when the blog ends. But what you need to do is put a closing statement. Write a few sentences to provide your readers with your final thoughts on the topic to conclude the post. Encourage your visitors to comment because that is how you will be able to interact with your readers. By doing so, you are encouraging reader to participate in the discussion. I am pretty sure, its every bloggers dream to rank higher in search engine as the growth opportunity with the free organic traffic is tremendous. With the right tactics applied its not that difficult to do so. I don’t want to get side-tracked and get into the details of SEO tactics right now, but if you want you can read Quick SEO tips in 15 minutes. If you are using WordPress, there are two most popular SEO plugins that I have used and love them both. These plugins are easy to use and are excellent for SEO. These plugins give you an option to set default dynamic values for pages and posts or you can manually override them on individual pages/posts. With the help of these plugins you can set a focus keyword, add meta description, meta keywords and it give you an overview of how well your post is optimized. One piece of advise, while you are making your post SEO-tastic, it is important that you do not write content for search engines. Write it for your readers! Which means keyword stuffing just to increase the density is a big no-no. That will ward-off your readers and chances are they may not return to read your next post. Once your article is written and you have made sure it is free of any mistake, its time to move on to the main step! Don’t keep on staring your masterpiece with glittery eyes, go on and share them so that other could be dazzled with your knowledge and your writing skill. Go ahead, click that “PUBLISH” button. Before publishing your killer content, it is recommended that you follow these 8 simple steps. These steps are not at all time consuming and are really easy to do. If there is anything that I have missed, which we should be doing before publishing the post, please let me know in comments below.